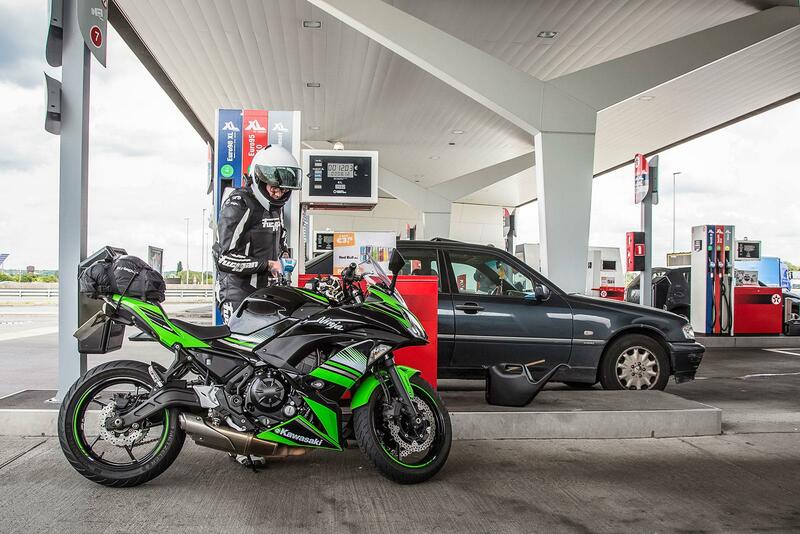 What happens when you let a throttle-happy rider near Kawasaki's seemingly frugal Ninja 650? 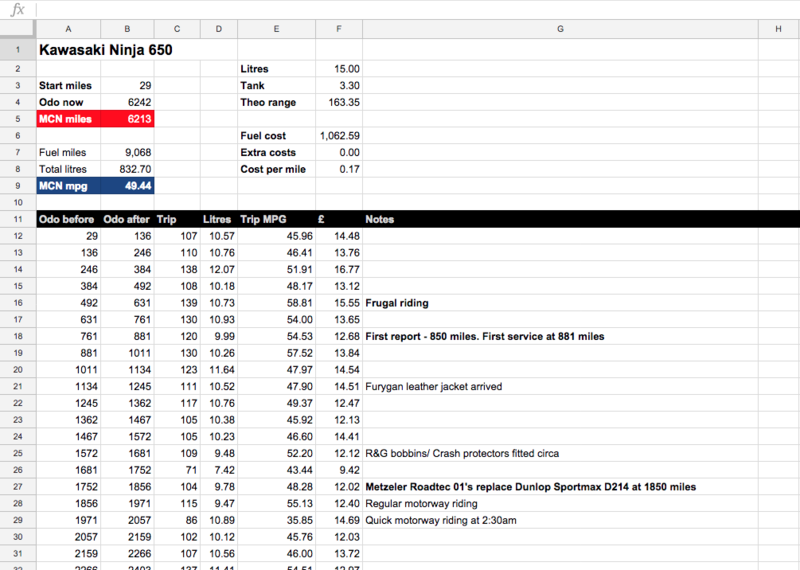 Geek alert coming up – since I’ve had possession of the 650, I’ve kept a meticulous diary of every tank of fuel. This way, I am able to check detailed mpg figures for different scenarios where I’m using the bike. It means I know what my economy figures were every time I’ve used the bike and paints a very good picture of what the Kawasaki returns without any guesswork. I rarely take it easy on the Ninja when using it day-to-day. I live in the sticks and have a really fun ride to work – on a route that isn’t too busy with other traffic. That said, I’m returning a respectable return of 49.44mpg in the 9500 miles I’ve covered so far. This takes into account my daily commute, which has formed the bulk of the miles, three trackdays and a number of larger motorway trips. Considering that the most of these miles have been covered using as much of the engine as I can on my daily commute, I think it’s pretty impressive going. When I take it easy on the bike and cruise to my destination, the Kawasaki returns a very healthy 60mpg... or even slightly more. The highest figure recorded has been 69.54mpg, after some easy miles in the city and a chilled motorway ride. For those who commute in the city and who aren’t revving the bike too hard, I’d expect the 650 to return a healthy economy that begins in the late 50s at least. Track riding has, at worst, returned 39.16mpg – from a sunny Donington trackday. It’s not exactly a slow circuit either, which means I would have been using the engine to the max. The worst recorded figures have in fact been a result of very quick German motorway miles, at 2.30am when the roads were clear and the need to get home to my bed, with the 650 near to the very end of its 10,000rpm limit. So, there’s more to the 49.44mpg than meets the eye. 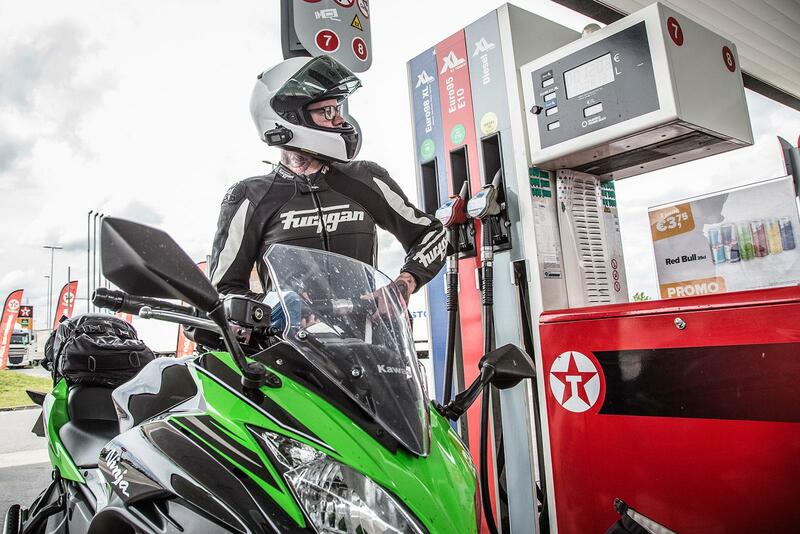 The Ninja 650 has been proving to be pretty good on fuel overall. The main fault for the mpg being so low is due to me, the rider who seeks to enhoy the bike to its full potential. Believe me when I say that you could well be sucked into this trap too: the bike naturally encourages you to use every rpm. The friendly motor rewards you with the kind of grin you’d imagine yourself wearing if you were ever to go on a successful date with a supermodel (I’m accepting applications).